Israel has approved the construction of 900 settler homes in East Jerusalem, peace activists have said. It comes less than a day after newly-reelected Prime Minister Benjamin Netanyahu announced the formation of a right-wing coalition government. 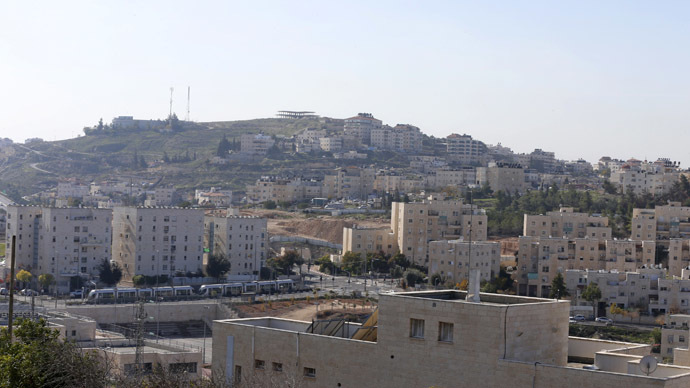 The homes will be built in East Jerusalem's ultra-Orthodox Ramat Shlomo neighborhood, Peace Now group spokeswoman Hagit Ofran told AFP on Thursday. “They’ve approved the request, and now they’re allowed to build,”she said. It comes five years after the Interior Ministry announced a plan to build 1,600 settler homes in Ramat Shlomo. That 2010 announcement was made during US Vice President Joe Biden's visit to Israel, sparking American opposition and tensions between Tel Aviv and Washington. The plan came one step closer to being realized in November 2013, after passing a further stage of approval. But construction was delayed after the planning committee said that new roads must be built before any building could take place, according to Peace Now. However the interior ministry has denied that the new units were approved. “The discussion that took place last night was about a technicality for a plan that had already been approved years ago," a spokeswoman told AFP. The news comes less than a day after Netanyahu made an 11th-hour deal to form a coalition government that will include the far-right Jewish Home (Bayit Yehudi) party, which strongly backs settlement building and opposes a Palestinian state. The pro-settlement stance of the new government – which is expected to be officially sworn in Monday – could worsen Israel's rift with the US and EU. During his re-election campaign in March, Netanyahu vowed to step up settlement construction in East Jerusalem – a practice that the international community sees as a major hurdle against peace with the Palestinians. The Israeli-occupied territories have been seeking full Palestinian statehood and independence from Israel for decades. However, despite international criticism, the Israeli government encourages the Jewish population in the West Bank to build new settlements.